In the wake of the resounding success that was the 6 Hours of the Nürburgring in late August, the ACO – promoters of the World Endurance Championship – decided to extend the circuit’s contract by a further two years. From today, tickets can be pre-ordered for the 2016 race. A total of 62,000 spectators poured through the gates at the Nürburgring in August to see the very best of prototype endurance racing. With the race undoubtedly a success, the Nürburgring management board have opted to keep prices stable for the 2016 race next July. Tickets are now available at www.nuerburgring.de/en, with a raceday ticket costing €30 and a weekend pass for some 10 hours of WEC action alone costing just €35. As in August, ticket-holders are free to access all open grandstands and the paddock. The tickets also grant holders access to the pit walk and the autograph session. 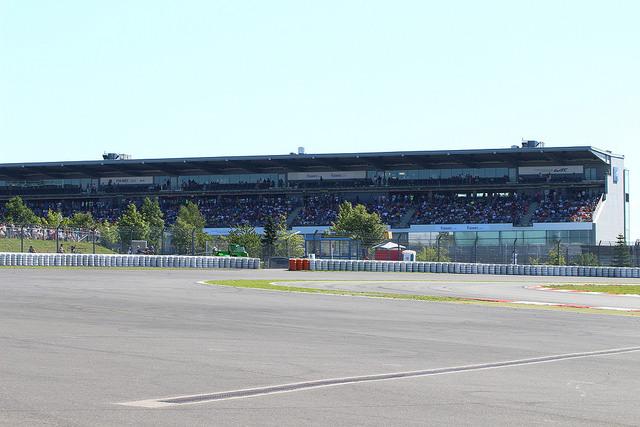 “Stable prices with no restrictions on grandstands and access to the paddock and pitwalk is our way of saying thank you to the 62,000 motorsport fans who made the maiden WEC race here in August such a wonderful occasion,” said Carsten Schumacher, managing director of Nürburgring GmbH. “It’s an invitation open to all to come and experience the Le Mans spirit here at the Nürburgring.